Sandy and pebbled, clear blue waters and a very laid back day are what this exclusive beach have to offer it’s visitors. 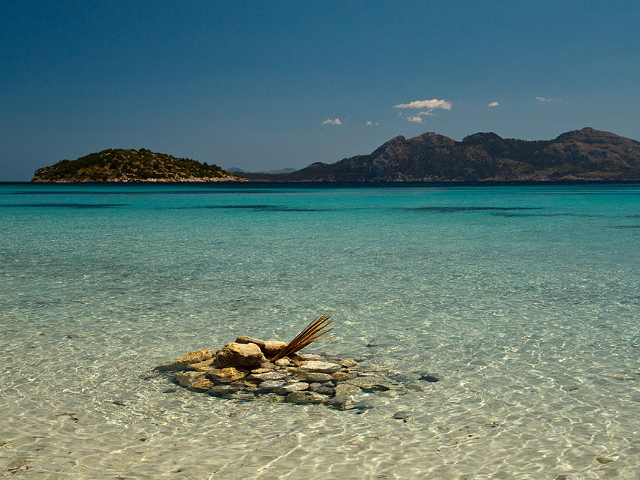 Residing just below the famous 5 star “Formentor Hotel” you might even spot a celebrity or two! 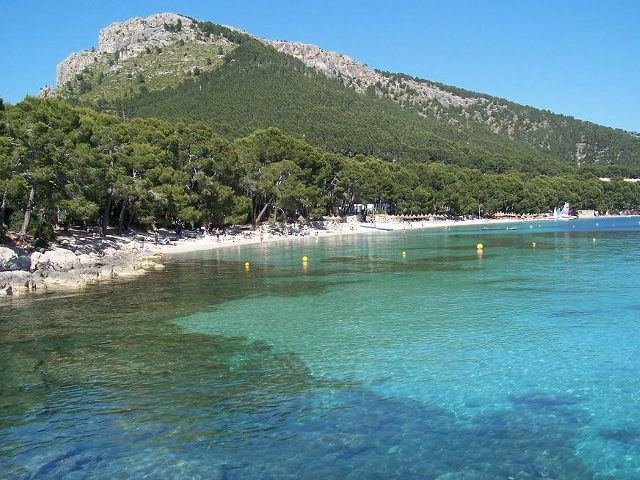 There are two ways to get to the beach of Formentor, one is by driving up the twisting and turning roads in car or by local bus which you can catch at the main Bus Stop. While you are there, perhaps have a coffee in the hotel but expect to pay a lot more than the average price. There is a snack bar in Formentor, but prices are above average, so perhaps consider taking a picnic and your own drinks. You can of course also get the ferry from the marina in the Port. This is probably a much more relaxed option to choose as you gently glide across the Bay of Pollensa taking in the stunning views of the Traumuntana Mountains.